Last 1st of December, students from 1ºC, 1ºD and 1ºE of ESO went on a school trip organized by the teacher Alicia Martínez to Arqueopinto, in Pinto, Madrid. There they did two different activities, both related to Prehistory, and both of them were very interesting. The students from La Senda enjoyed them a lot and they learned many Prehistory facts. The first activity was related to Cave Art. The students painted like hominids did millions of years ago. Their guide, Raúl Maqueda, talked to the students about the strange materials they used to paint. 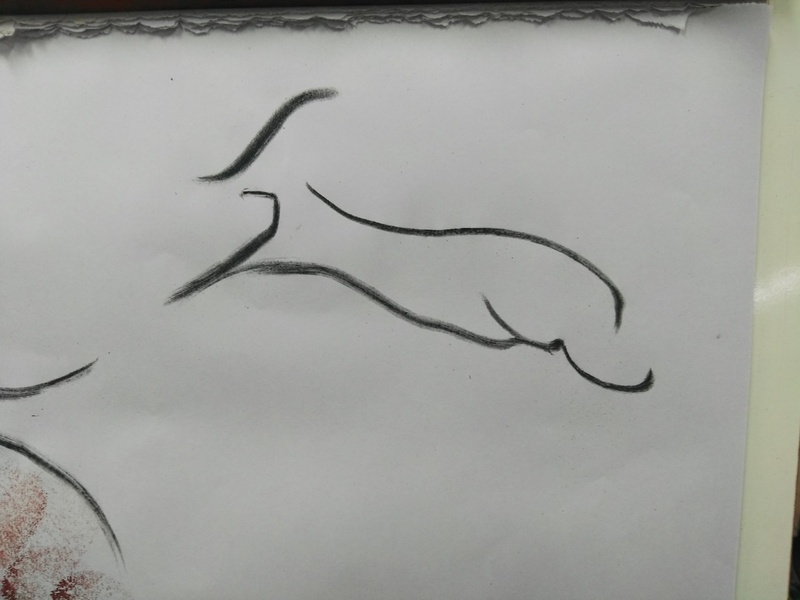 They also learned how to draw a deer with only five lines! The second activity was very exciting because they had to follow a path through prehistoric periods. They first learned about the Ardipithecus Ramidus and the Australopithecus Afarensis, that are human ancestors. Then, they saw how to make hand axes, that are stone utensils that people used millions and millions of years ago to cut. Next, they learned about the Neolithic Age, they entered a simulated hut made up of adobe and clay. There they realised how people made fire, only with some types of grass and stones. With all these things done, they went back to the bus and their incredible trip came to the end.